Sometimes I start a project, and while I’m working on it, I realize that things aren’t going to end as I planned. 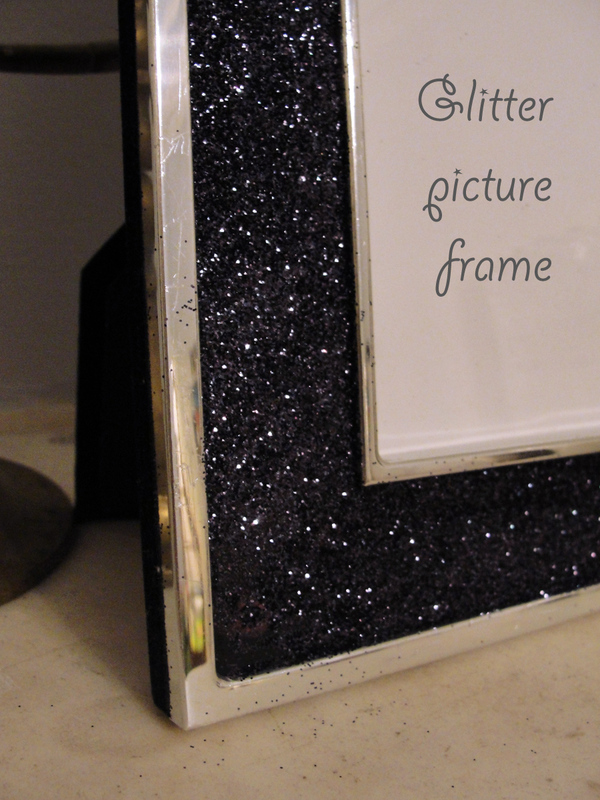 That’s what happened last night with a picture frame improvement craft. I wanted to gift a friend a cute frame, and was very pleased to find an unused 4X6 black and silver frame stored in my apartment. I didn’t buy it recently, but at the time I got it for a dollar! It wasn’t in bad shape, but since I am going to give the frame to a girlfriend, I wanted it to be jazzy and fun. I originally intended to do pink polka dots. I had hot pink craft paint and used the back end of an eraser to make the dots. It did not work. 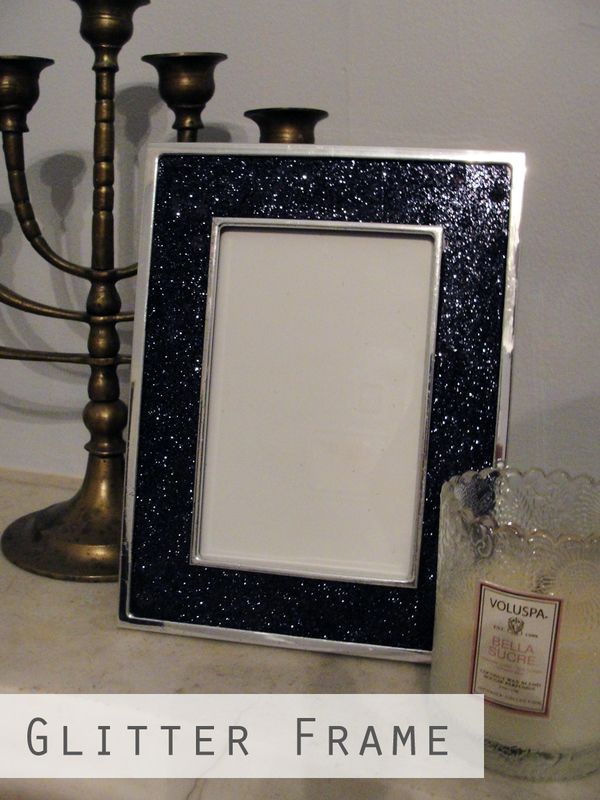 The frame is enamel and the paint wouldn’t evenly apply, and the coverage was spotty. I tried to wipe it off, but it was too late. I tried to paint over it with white craft paint, but that was also was streaky. Just about to give up, I went back to where I store all my craft supplies and found fine black glitter. Bingo! 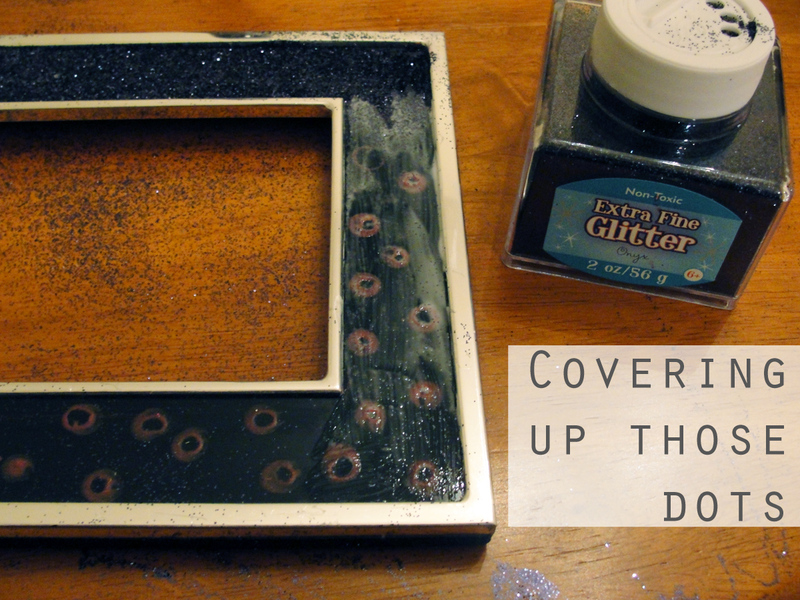 I painted the frame with Elmer’s school glue and tossed on the glitter. It covered perfectly and was so easy. Now that I’m done, I can’t believe that I didn’t start with the glitter. It looks so fun, and I can’t wait to give it to my friend. the glitter is fantastic, as glitter almost always is. 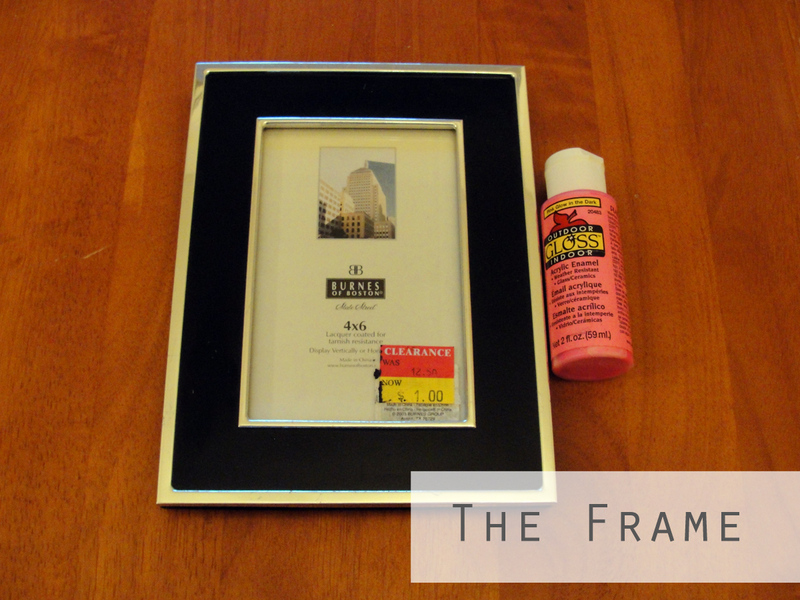 a great way to revamp an old frame! I know- I love glitter! It makes me want to just glitter-ize EVERYTHING.